I have owned Azolum for around 7 years. I loved her at first sight and ive promised myself always to try and keep her in a better state than when I ever got her. 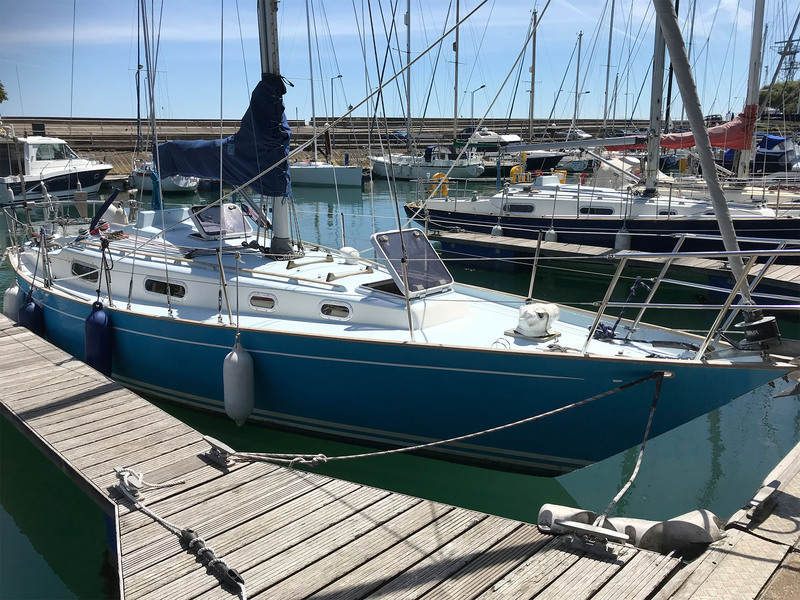 She has been lovingly cared for and kept in marinas with professional engine servicing annually and any jobs on her, I’ve always consulted and used a professional. She has toured in the Solent and in the Bristol Channel and in 2016 I took her on a solo trip around Britain. There are a couple of things that are worth noting. 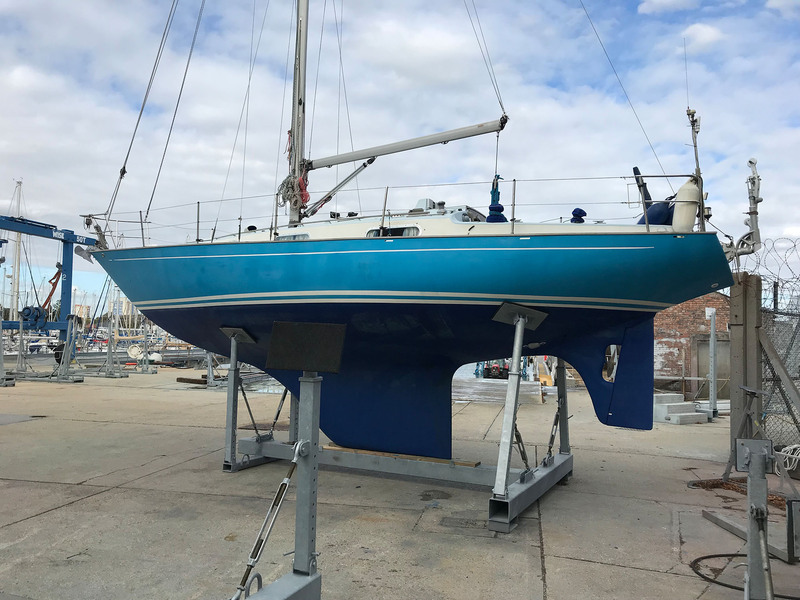 In the summer of 2018, I took her over to Hayling yacht Services for a full osmosis prevention treatment, with all the work carried out of nearly £10k to her hull. Her hull now is better than its ever been and because of its conditioning, should give comfort to a new owner for many years to come. They peeled the gel coat, grit blasted, dried the laminate with hotvac hull cure systems to ensure all the acids, glycol and organic compounds were drawn out, steam cleaned, coat of solvent-free gel shield plus, epoxy filler to re-build surface, sanding, 3 coats solvent-free epoxy gel shield plus, 1 cot gel shield 200, 2 coats copolymer cruiser antifouling. She has a Windpilot Pacific that new costs over 3,000 euros. This is a beautiful system and came into its own when sailing round Britain. There was a full rigging survey in 2016 by Freemantle Rigging and several parts were replaced to bring her totally up to date. I fitted a dripless shaft seal with associated works of £2.5k to ensure a dry bilge without drip per minute of the traditional stern gland. The drips actually damage the boat by letting corrosive sea water into the engine compartment and I had to replace the engine mounts. The engine compartment is now dry. The old traditional stern gland is replaced by those who use their boats regularly and make a massive difference.